Our silly, smart, talkative, bossy Isla Marie turned 4 last week. 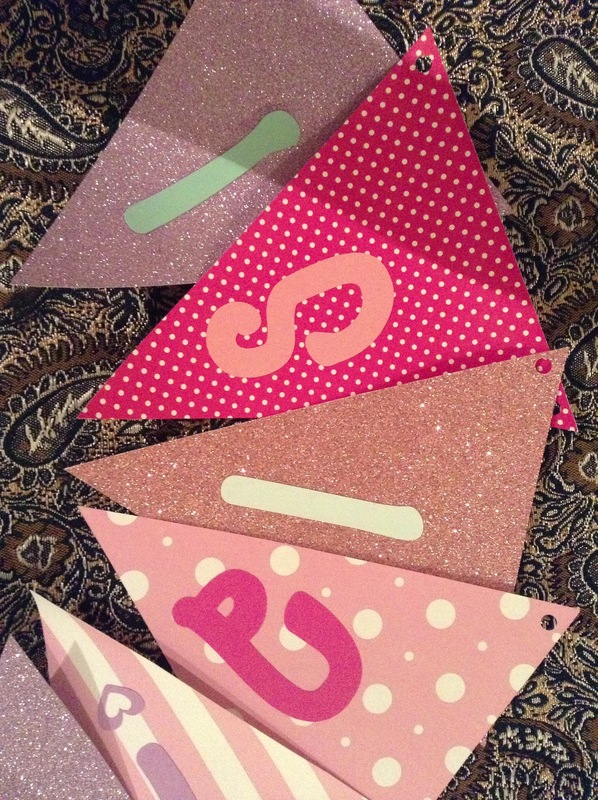 She chose Fancy Nancy as the theme for her party this year. For those of you with little girls who haven’t discovered Fancy Nancy books yet, I’d highly recommend them. She’s a cute character who doesn’t have a stinky attitude (ahem, ahem Pinkalicious) and the books are fun and quick to read. We’re big fans in this house. 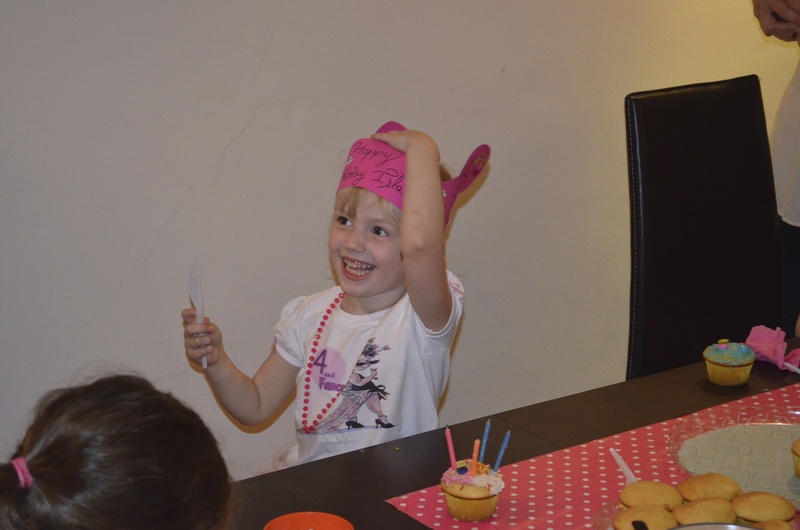 Anyways, I’ve learned that kids Isla’s age really only care about a few things at birthday parties – the cake and having fun. So as much as I enjoy decorating and preparing food all revolving around a theme, I went simple with food and decorations this year. We had a birthday banner for Isla, which has become a bit of a tradition, and kept the food quick and easy with ma3janeet (meat, spinach, zaatar pastries and mini pizzas), a veggie tray and juice boxes. 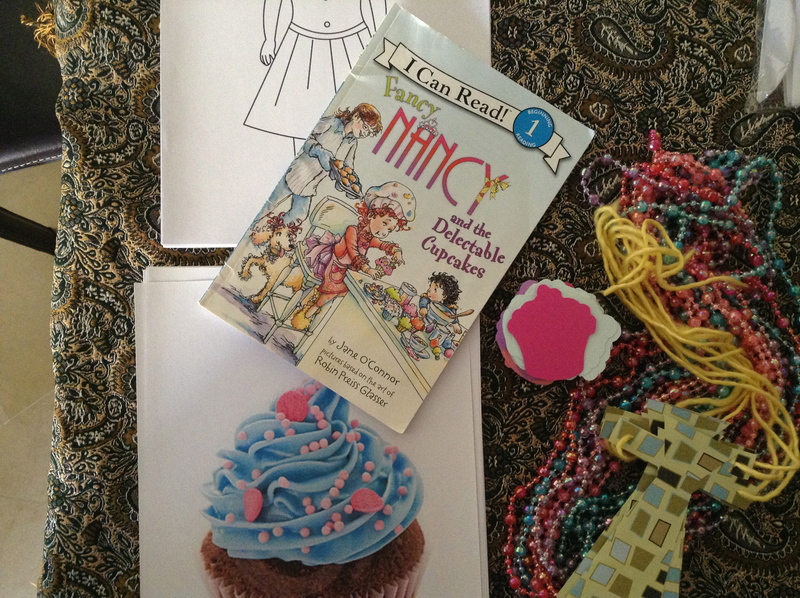 One of Isla’s favorite books is Fancy Nancy and the Delectable Cupcakes. So we started off the party by reading the story and then played a few games. Isla is not a fan of games where she is put on the spot with everyone watching her, so she and I came up with some group games that she thought she’d like to play. :) I hid little paper cupcakes all over the house and had the kids try to find them, we played a version of musical chairs but with pictures of cupcakes to stand on, and I printed out some “plain” coloring pages of little girls and boys for the kids to color and fancy up with stickers and jewels. I think they all had lots of fun playing! Instead of cake, we decided to make cupcakes and let the kids decorate them with frosting, sprinkles and candies, just like in the story. Huge mess, but lots of fun. I was shocked at how much Isla enjoyed being the center of attention – usually it’s not her thing at all. She was so excited about this party. We talked about it for weeks, and the morning of she was bouncing off the walls, running laps around the apartment (and ended up taking a 2 hour nap! ), she was so excited! 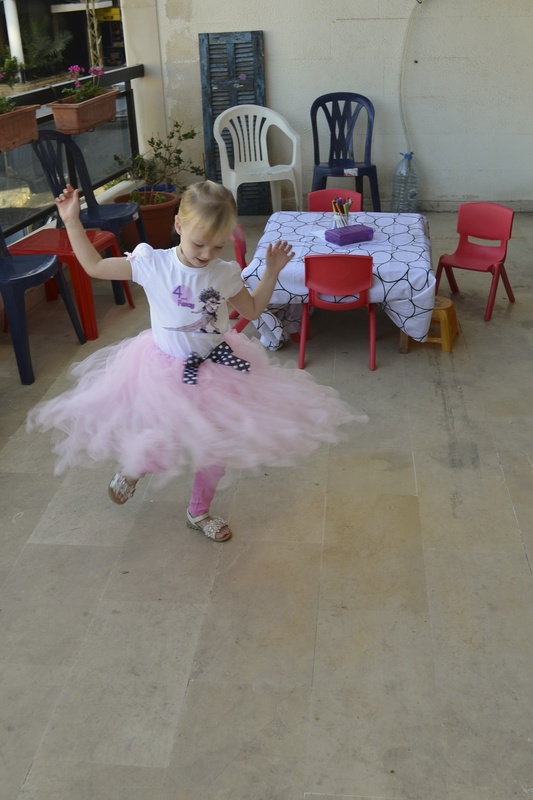 We gave each of the kids a Fancy Nancy book as a going away gift… spreading the love of our favorite character all over Beirut, haha! 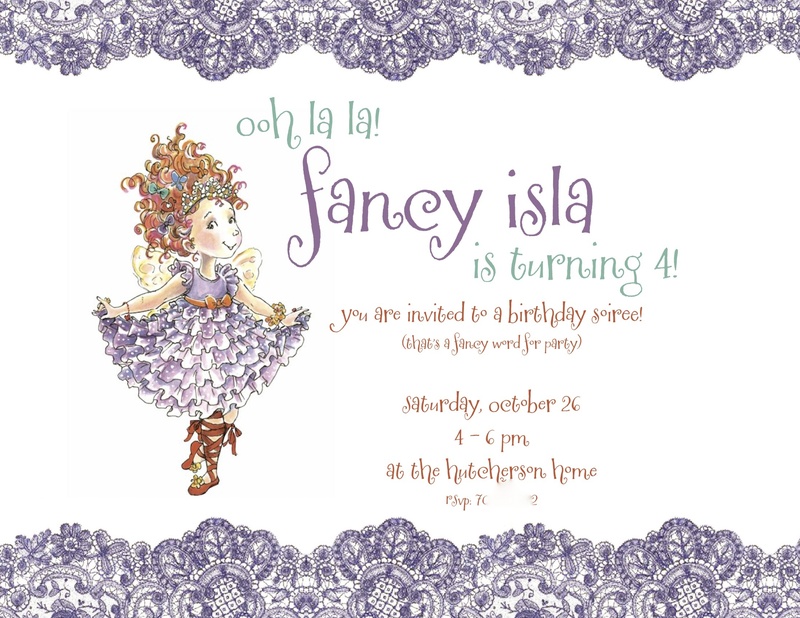 Happy happy birthday, Fancy Isla!! We love you! Like I said, you are an awesome mom! Fancy Isla! What a fun day you had! I wish I could have been there! I love you!